contribution to the environment of the city center. 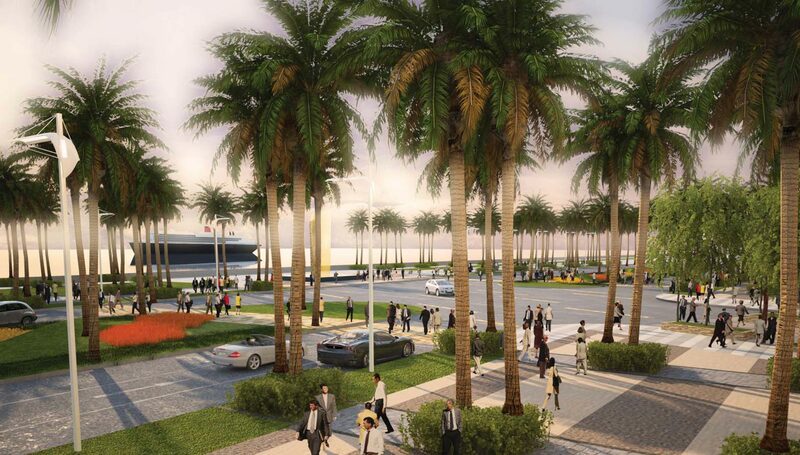 Landscape and streetscape strategies are based on a variety of public open spaces, with substantial access to the sea. Streetscapes will emphasize cafés and pedestrian areas, creating a vibrant sub-center of activity in the city as a whole.